My long life design is a raincoat which made by natural material. #2 Design Brief (what you are making and why etc.) Include your project TITLE and how this project will change with you, over the next 50 years. What did you make and why? I will make a raincoat. My idea is to create a fashion product which combines with the functionality and sense of fashion. Raincoat has an obvious functionality, but it is not an often used object. So, it’s using life will be longer than the average fashion product, and if I design it as a simple and clean silhouette, I believe it will be kept for a longer time because minimalist style will not be easily outdated. The other important factor of my design is the whole product will make by 100% natural material. Usually the raincoat is made by plastic material because plastic has excellent waterproofing. But plastic also will make serious environment damage. So, I will use the beeswax (natural material) to make material have waterproof function. 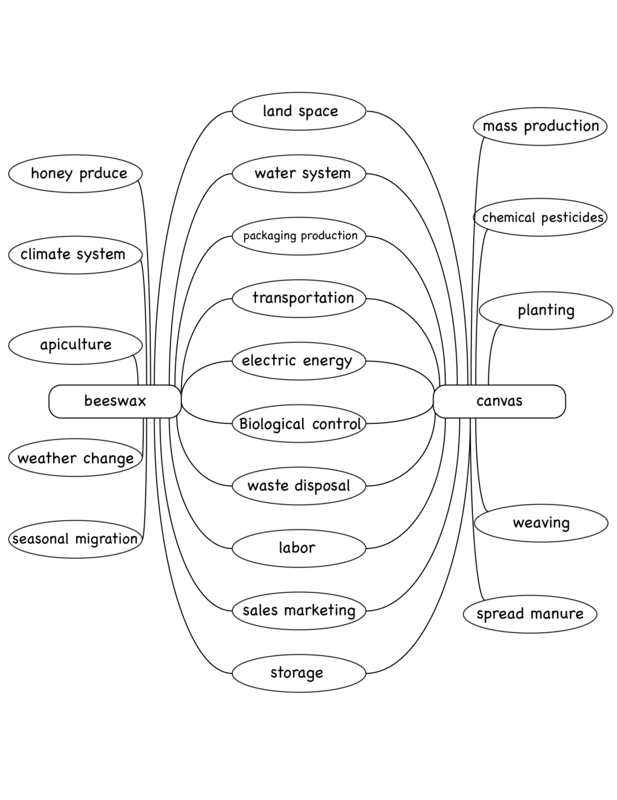 What specific event(s) of environmental change will it help you adapt to or address? Climate change is becoming more diverse today, as the unstable climate increases, more and more people will aware that the environmental impact of chemical products is devastating, so more people will use natural material products. How does your object offer function and aesthetics over time? How does it fulfill the Long-Life Design criteria to the best of your ability? I believe my raincoat at least can offer function and aesthetics over 20 years, it is much longer than plastic raincoat. The natural textile fabric and minimalist design can increase its useful life. The textile fabrics are easier to repair than plastic, the minimalist design will never out of fashion. My major is fashion design, I believe I can make it works. 2) Is there anything else you would like feedback on from me, before class next week regarding your final project and/or presentation? I really appreciate the content of this lesson, it made me realize that when I design a product, I am not only responsible for the consumer, I also need to responsible for the environment. This lesson has had an impact on me so that I will keep my mind on whether my product will be a burden on the environment in my design career. Thank you and thank this course very much. 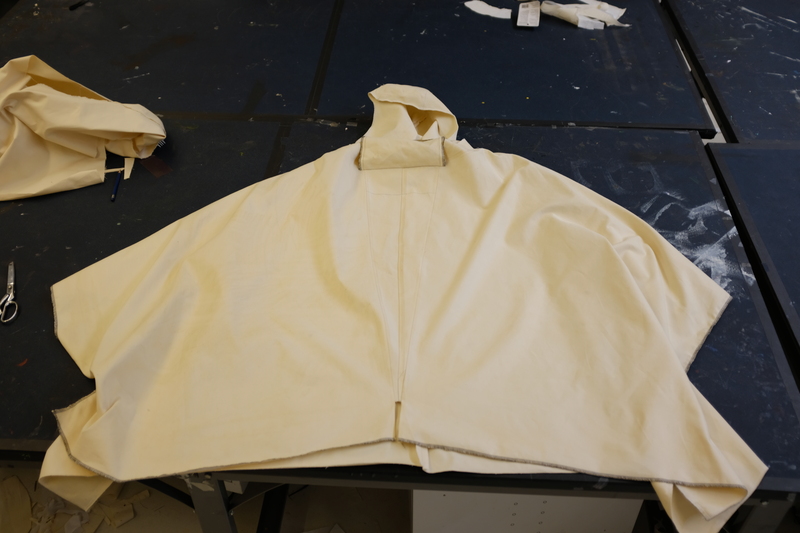 Repair: This raincoat has no extra accessories, so it can be repaired easily (only by sewing), also it can be re waxing when its waterproofing is not stronger enough. Cost：The cost of material for produce this rain coat is not really high, because it saves many links in the production process, such as dyeing and production of accessories. Function: The waterproofing function of this raincoat is really good. Environment: This raincoat is 100% ecofriendly. #3 Resiliency and Repair Story: Written story or illustration that explains how your design addresses repair. How will your project be repaired and/or used in new ways over the next 50 years? When this raincoat damaged, it can be easily repaired by sewing, because it has no extra accessories on any part. I would like to introduce more about how to re waxing for this coat. It’s easy, just apply the beeswax evenly to the fabric, then steam the fabric with the iron so the beeswax can melt evenly into the fabric. Also, applying few more layers of wax will keep the coat waterproof for longer time. #5 Documentation In order to be an effective design, your object need to be activated and used. How might you stage a story or narrative about what your object makes possible over 50 years through your documentary photos or video?